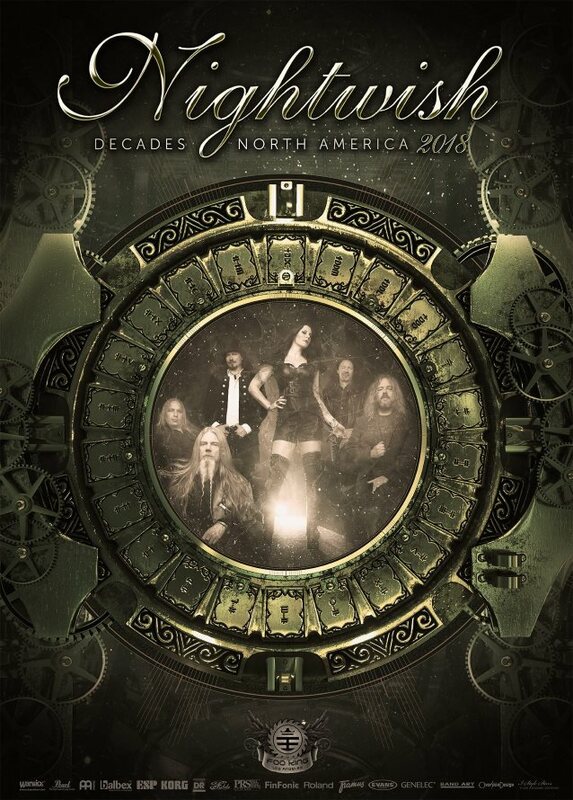 In March 2018, symphonic metal legends NIGHTWISH will begin their nine-month-long "Decades: World Tour 2018" starting with 34 shows in North America. The band will have a very special setlist for the tour, featuring rarely heard material from the earlier era, and excitingly for both band and fans, they will revisit the old songs with some new twists. This setlist will be a "one-off" and only performed on this "Decades: World Tour 2018". To accompany the tour, Nuclear Blast will release a 2CD compilation, "Decades", on March 9. On the night of the show, every ticket holder will receive a copy of the 2CD as a memento of this unique tour. NIGHTWISH's latest DVD/Blu-ray, "Vehicle Of Spirit", was released in Europe in December and followed in the U.S. in January. It features not only two full concerts, but also plenty of bonus material.